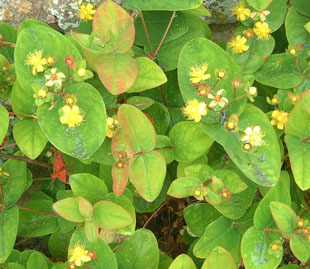 It grows in shady places such as woods, hedges and cliff ledges. 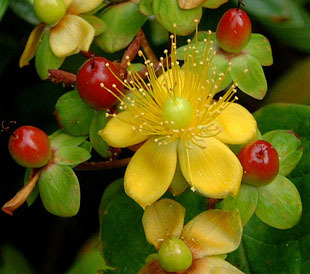 It is also cultivated and is spread by birds. 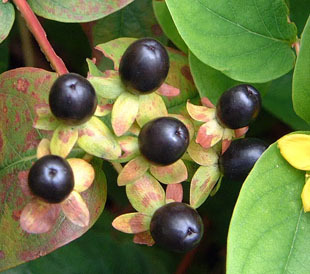 Tutsan is a native shrub growing up to 1m. 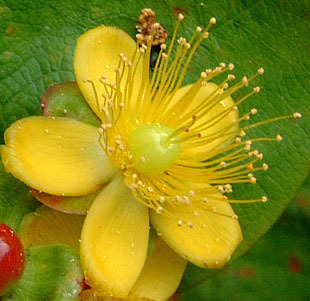 Flowers are golden yellow and up to 2.5cm. 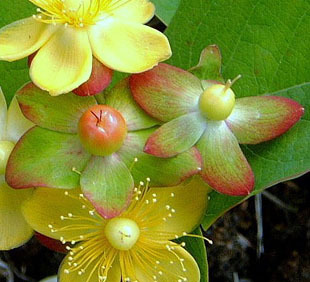 There are 3 styles and numerous stamens. The stamens are the same length as the petals. Sepals are enequal and persistent. 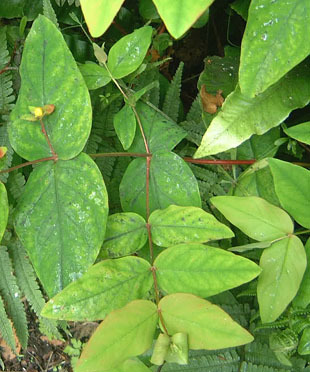 Leaves are wide ovals, up to 15cm and semi-deciduous. Berries turn fom green to red to black. The stems are 2 ridged and often red.